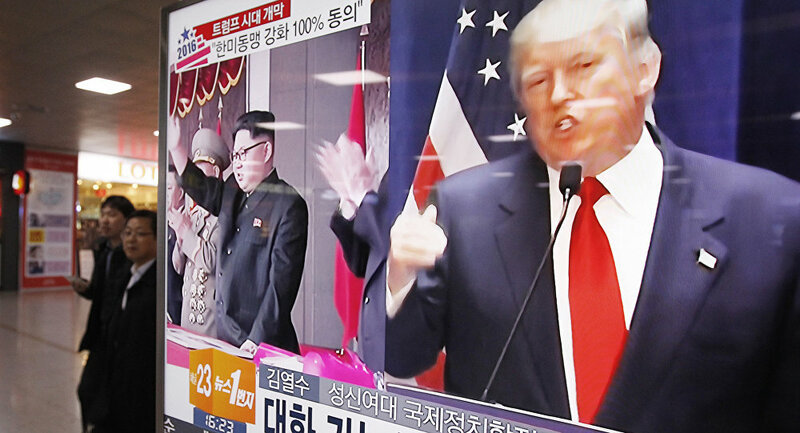 Russian Deputy Foreign Minister Sergei Ryabkov said that the US resembles a temperamental, "spoiled child" when it assigns other nations the responsibility of tackling the North Korean nuclear crisis. MOSCOW (Sputnik) – The United States resembles a temperamental, "spoiled child" when it assigns other nations the responsibility of tackling the North Korean nuclear crisis, Russian Deputy Foreign Minister Sergei Ryabkov told Sputnik Radio in an interview. "Washington tends to make others responsible for the things, which should actually be done on its own. This is a kind of a behavioral algorithm. It can be compared to a naughty, spoiled child, who falls on the floor and bursts out crying and kicking, when he or she failed to do something or when some toy was not given immediately after the child asked to buy it," Ryabkov said. The deputy foreign minister stressed that he had no intention of making the situation comical, since the issue was very important and serious, with the situation on the Korean peninsula extremely "explosive." The United States has long been trying to make China exert more pressure on North Korea over the latter's nuclear provocations. In late July, US President Donald Trump took to Twitter to express his disappointment with China over its reluctance to do anything for the United States with North Korean nuclear threat. The situation on the Korean Peninsula has become aggravated in recent months due to a series of missile launches and nuclear tests conducted by Pyongyang, all of which are claimed to be in violation of UN Security Council resolutions. On July 4 and July 28, Pyongyang conducted tests of intercontinental ballistic missiles in violation of previous UNSC resolutions. According to the state-run Korean Central News Agency (KCNA), the latest launch on July 28 was successful with the missile having reached the altitude of 3,725 kilometers (2,314 miles) and traveled 998 kilometers for about 47 minutes before falling in the Sea of Japan. On Saturday, the UN Security Council unanimously adopted Resolution 2371, which further tightens sanctions imposed on North Korea in response to Pyongyang's ballistic missiles launches.